I am curious ......Its your car, an extension of your taste, your money, your hard work....why do you care what other people think ??? How does that help ? To be truthful, do you believe another forum member, a perfect stranger to you, would actually want to spend time pondering what color you paint your car ?? I have always felt that the color of one's car, like a favorite tie, or a favorite hat, is something very personal....an extension of one's taste......and you have no idea !! I assume tire choice will pose a problem as well. I agree, Pale Primrose is vile. I also can't abide black interiors. 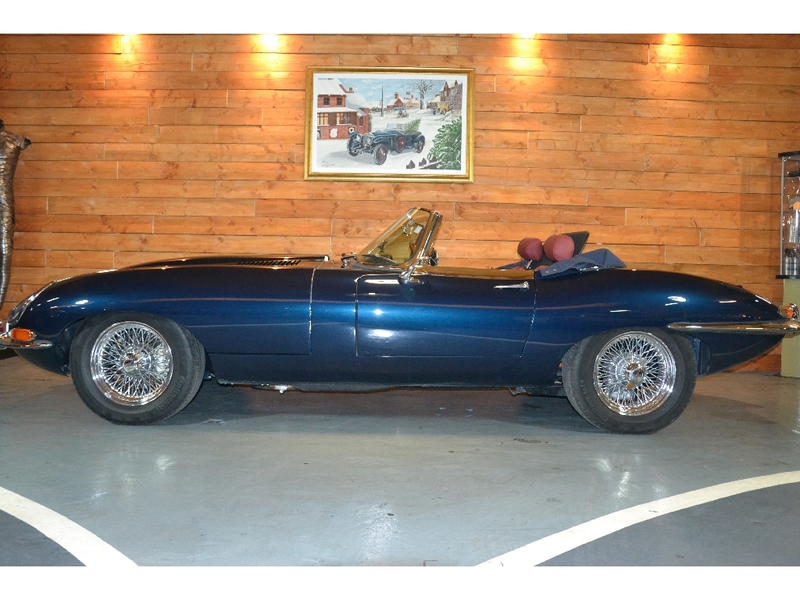 Personally, with the exception of Black, I think that the E Type looks far better in lighter colours. I have painted both my 3.8s Old English White and they have red interiors. My 4.2 coupe is OS Grey with red interior. I also love O Dark Grey. An acquaintance painted his coupe O Golden Sand with a red interior and it looks superb. There is a mid/pale blue on the late 1960's Series 2 cars the name of which escapes me that also looks very nice. I should have pitched this differently. I’m not posing the question to ‘strangers’ as to what colour should I paint my car. Though I think I may have caught you in a bit of a grumpy mood, JC, you are right. Personal taste is just that. What I’m really agonising over is whether or not I’m blowing it by going to such great lengths only to paint the car in a colour that wasn’t in the brochure that year. That’s the debate I’m putting forward. Does it matter a jot, or is it just plain cruel to go off-piste with the colour way. Oh and another point, I do like dark colours which show off the chrome, but then there is another agony - pollen dust and the relentless dusting of my childhood dream which will be sat in front of my work desk. Thanks abowie for your thoughts, some interesting points! I think that if it was a really early 3.8 the change of original colour/trim MIGHT affect others opinions on “originality” which , if you are bothered , might in turn affect the value of the car. However I would paint it and trim it in whichever colour/trim combination from the period of the car was produced that you fancy. Cars just seem to suit the colours of their period...eg the triumph Stag which came in all sorts of interesting ‘70s hues but somehow they seem to suit it! My FHC is in its original OSG with red interior..I love the paler Opalescent colours on the coupe. My ‘62 OTS will be in the original Opalescent Dark Green with Tan interior ...the extra trim chrome on the OTS seems to go well with the darker colours.IMO...hence your desire for the “achingly beautiful” ODB. Do what you want. If you want to win concours, use an appropriate paint colour. Otherwise, paint and build the car you want to drive. I'm doing a no-holds-barred restoration of a 70FHC. It was regency red. It is going to be Odyssey Red Metallic which is, essentially, regency red with a very fine gold metallic in the clear coat. I think this is a nice refinement. It is also going to have a number of driving and comfort refinements. So: classicfab headers w/ceramic coatings, 123ignition BT distributor, heaterbox AC by Clayton classics, classic infotainment system, wider wires and 215 tires (possibly Borrani, not decided yet). So your question if 'great lengths'... to what end? I'm going to great lengths for driving experience, beauty (I'm the beholder) and a bit of comfort. I'd love to hear anyone's suggestions for further improvements towatds that goal and I'm MOST interested in your eventual decisions. As James says, when they're clean and shiny and freshly painted, they pretty much all look great. I've never been a great fan of light green on a car, but I saw a FHC in immaculate Willow Green last summer and was utterly captivated by it. 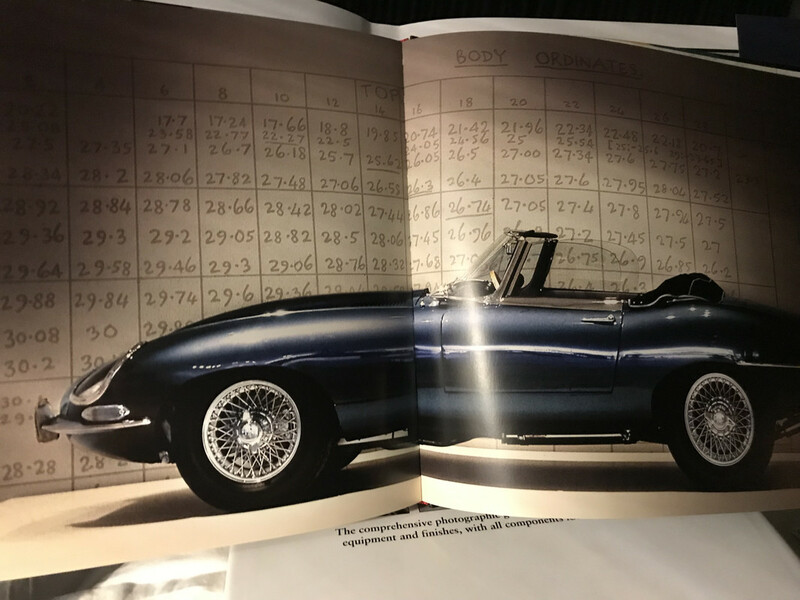 On your particular point though, as you correctly identify, if it was an official Jaguar colour then you could have requested it at the time, regardless of the official range of options for that current year. Therefore do what I did when faced with having to repaint my car Sable if I wanted to remain 100% original - simply ask your question, "If it had been me wandering into the showroom to order the car back in 1967, what colour would I have specified?" Returning your car to Primrose is the only thing that will be 100% original - but posing the above question gives you a colour that will still be 100% correct. And as pointed out, at the end of the day the only person you're ultimately trying to please is yourself. You want a finished product that for years to come causes you to stand back and say to yourself, a bit like the man in the advert, "Flippin 'eck, that's decent....". Keep the car long enough and there will come a point when it's more 'yours' than any previous owner's, and your colour choice becomes just another part of its story. Have fun - it'll look gorgeous when it's finished whatever you do! Thanks gents for responses. Some good points made here. Of course we can paint and trim our cars to suit our own taste, but I just wanted reassurance that I wasn't being unsympathetic to this car ((I know, I know, it's an inert object) by going for a colour that only sold on 3.8's. The above points have settled me down! My '67 will end up in the '64 colour ODB with grey trim - as pointed out, my car is a S1 4.2, not a collectors Flat Floor whereby potentially nothing but 100% factory original will do. I'll post a photo of the finished article in a year from now. Opalescent Dark Blue is a great colour, but you have to be very selective for the interior. Curious to see the panel of colours that will show up on April 20 at Angus' day. I think paint it how you like, I intend to with mine. I want a pale blue colour, similar to you see on current Fiat 500's. Like you have pointed out, if it was a '61 flat floor then you would really need to consider the originality issue. If you don’t care about the car being painted in the original primrose, then you have to go with your own opinion and desire. The blue is lovely, I’m sure, and I would personally choose the grey, but it is up to what floats your boat. Despite loads of personal comment posted here on choice, go with what you want! If its any help, I had a similar dilemma on one of my cars, and despite months of agonising over this choice over another, I finally made my own decision, and loved it from the moment the car appeared from the paint shop. That’s the way to go, and just enjoy it!